Parent and subgroups help establish the hierarchy and segmentation within your community. Members can be part of specific groups and you can decide the structure. 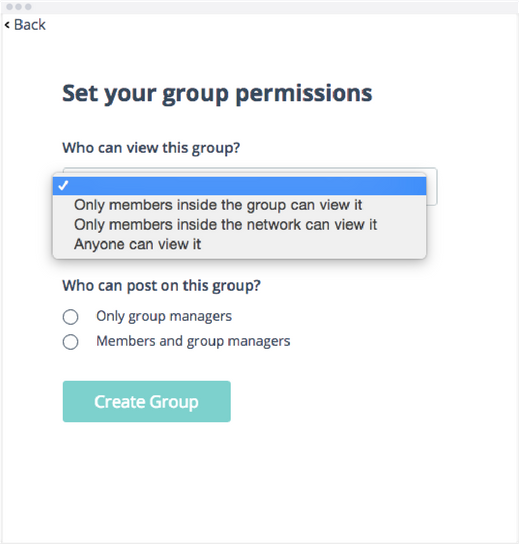 Note: if you add a member to a subgroup, they will automatically be added to the parent group. 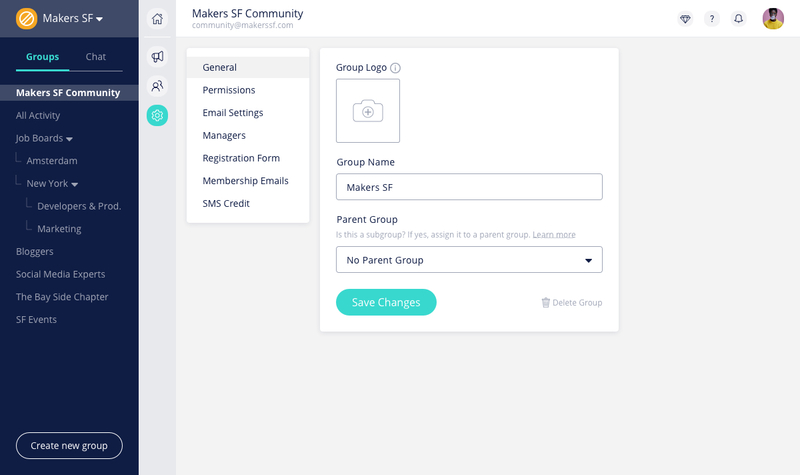 If you add a member to the parent group, they are NOT automatically added to the subgroups. To create a new group from the side navigation bar go to the bottom left hand side of your screen and Click Create New Group and follow the prompts. COMMUNITY NAME: You can give each group any name you like, however when you give your group a unique email address it will depend on the availability of that name in our database. A good trick would be to add your community initials in the email address. Once you've chosen the parent group, click Save Changes at the bottom. You will see the changes take effect in the side navigation bar and on the Community Map. Note: you can always adjust these settings later in the Group Settings.